Student work that's modest and more often than not created to solve a social problem. In Dubai, the Burj Khalifa and Palm Jumeirah have become the architectural icons of the city’s strive to become a modern, business metropolis. Sure, one may sit on a balcony of a high-end dessert restaurant overlooking the Dubai Fountain show?the world’s largest choreographed fountain system? and leave with the notion that the city’s design culture is focused on grand spectacle. 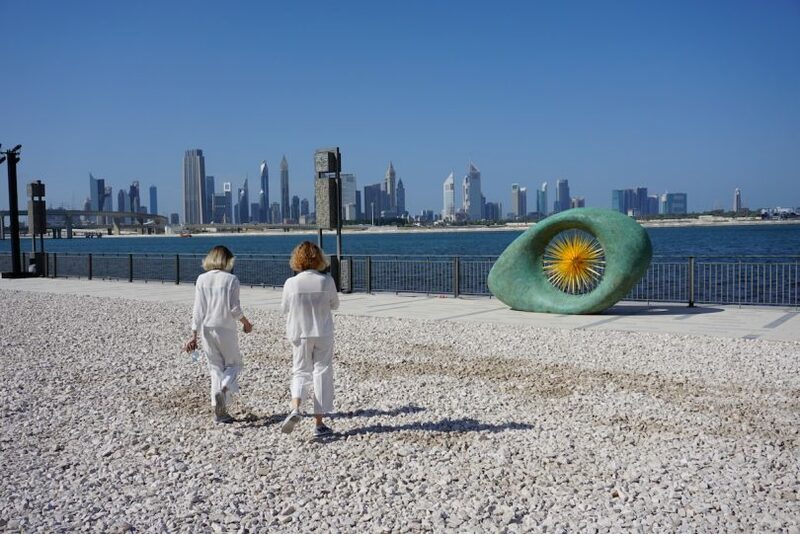 But every year, outside downtown Dubai, in the Dubai Design District, the city also hosts the largest annual exhibition of student designs in the world. It’s not the Dubai you may have first associated with: the old, ancient crafts, souks and spices, or glassy exteriors and metal frames that house corporations. These products on show are modest, crafted by students, and more often than not are created to solve a social problem. This is Dubai Design Week’s Global Grad Show. Students outside the Dubai Global Grad Show exhibition hall in the Dubai Design District. Photo by Keshia Badalge.